3. 2 ultra bright red LEDs and 2 blue LEDs each side with STEADY ON . 5. 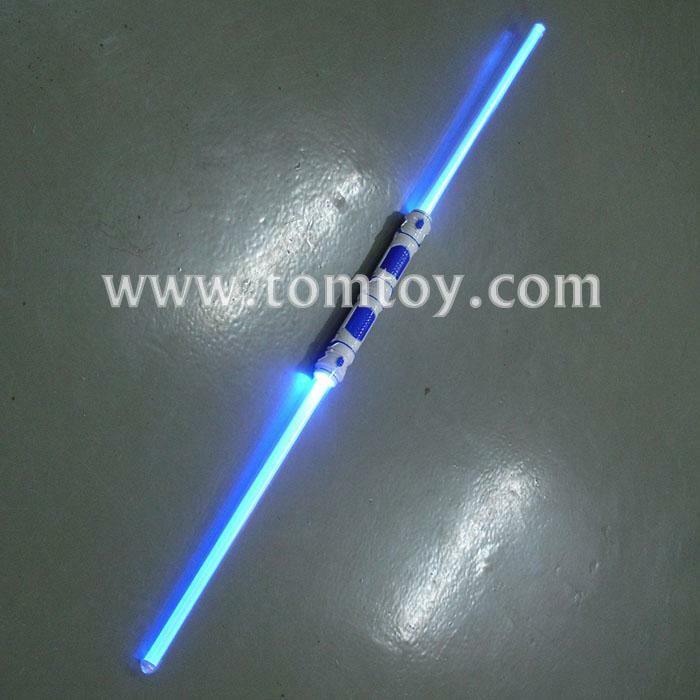 Double saber sword is 21.25'' inches each piece & shines a steady red light , blue light and pink light .